Lewis Allan joined Dunfermline on loan from Hibs on 19th February 2015. This 1950s player made more than 160 appearances as a part timer for Aberdeen, Dunfermline Athletic and St Johnstone while at the same time holding down a civil service career. A powerful and athletic centre half signed from Paris St Germain at the start of the 2006-07 season. Left September 2008. Andy Barrowman joined Dunfermline on 3rd June 2011 from Ross County for whom he was top goalscorer in the previous season and was to make 65 appearances for the Pars, scoring 22 goals. Returned from serious injury to sign on 29th March 2011 until the end of the league winning season. Graham Bayne initially joined the Pars on a two year contract at the start of the 2008-09 season. Brought to East End Park by Harry Melrose in 1976, Jim played a total of 227 matches for Dunfermline, scoring 13 goals, before moving on to spend brief spells with St. Johnstone and Meadowbank. Spent one season at East End Park. Signed from Airdrieonians in June 2014 but was released at the end of the season. Liam Buchanan joined Dunfermline from Partick Thistle on 21st January 2011. Lee Bullen was a member of the Dunfermline youth squad that won the BP Youth Cup in 1988. Returned to play for Dunfermline 2000 - 2004 making 130 appearances and scoring 22 goals. The Pars striker 2005-08; won six Scottish caps in season 1999-2000. Arrived at East End Park in February 2008 and made 99 appearances before being released in May 2011. Paul (27) joined Dunfermline ahead of their return to the SPL. A product of Queen of the South's youth system in 2000 he was promoted to the senior squad in 2002. Talented midfielder who came through the youth system at Dunfermline. Given his debut by Jim Jefferies but released at end of League One title winning season. Willie`s reliability and his ability not to get any serious injuries meant that he played 426 times for Dunfermline, the third highest number of first team appearances in the club`s history. Popular winger who was a victim of Interim Administrator's cuts in March 2013. Made 138 appearances for Dunfermline, scoring 24 goals. Arrived at Dunfermline in September 2014 after Jim Jefferies` had been alerted to him by one of his much respected sources. Left at Christmas 2014. Hero of the 1961 Scottish Cup Final victory over Celtic. Two caps for Scotland. Willie played in 7 of the 8 1961 cup ties, missing out on the Quarter Final against Alloa. After a trial earlier in the month, Freddie returned to sign for Dunfermline on 27th January 2006. Tomas Danilevi?ius (born 18 July 1978 in Klaip?da) is a Lithuanian international footballer who played three games while on loan from Arsenal to Dunfermline towards the end of the 2000-01 season. 1961 Scotish Cup Winner. Charlie D remains one the most popular players ever to grace East End Park. 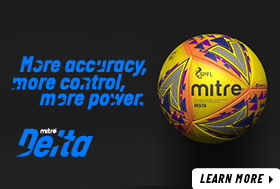 His tally of 215 goals is a record unlikely ever to be equalled. Signed for Dunfermline by Harry Melrose in 1977 Paul went on to play first team football until 1985 and over 160 appearances later. Signed in 2011 after leaving Southend United but injury kept him on the sidelines. As a consequence his short term contract wasn't renewed and left left East End Park in January 2012. Became the youngest ever outfield player in Scottish football when making his debut on 19th March 1962, aged 16 years and five days. Centre back 1973 - 1976. Left to join Aston Villa, help them lift the European Cup and play for Scotland in 1982 World Cup Finals in Spain. Twelve appearances for Dunfermline, one goal. Greg Fleming was signed on 10th July 2009 on a year long loan from Oldham Athletic. He was born in Dunfermline and returns to live in the town after moving to play for Gretna. Made 34 appearances for Dunfermline and achieved one shut out. Starting his career with Dunfermline in 1980, Bobby went on to make 217 appearances for the club and made the transition from Second Division to Premier League. After picking up a Scottish Cup winners's medal with the Pars in 1960/61 (at just 19 he was the youngest player on either side) and an Under 23 Cap the following season, Fraser was transferred to Aston Villa for £23,500 in October 1962. Jocky Scott brought him to Dunfermline on 23rd October 1991 for a fee of £150,000.Over the next nine seasons, Hamish was a regular in the Pars side under a succession of different managers. Andy Geggan was signed from Ayr United for the start of the 2012-13 season and returned to Ayr in May 2017. Paul moved to Celtic as a 15 year old when Tommy Burns was there. Goalkeeper, a product of the Dunfermline youth system whose first team appearances were limited to just two starts and four subs appearances. David Graham signed for Dunfermline on 20th January 2009. Joining from Hamilton Accies until May 2010, he made is debut against QOS at East End Park on Saturday 31st January. 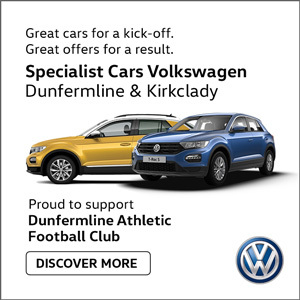 His eight goal scoring streak in his last eight matches of the 2010-11 season helped propel his side ahead of rivals Raith Rovers at the top of the First Division. Former Hibs winger Kevin Harper joined Dunfermline on a two year deal in July 2007. He moved back to Scotland after playing in England for the last nine years. Jamie Harris is Welsh but spent the three seasons at Shelbourne in Ireland before coming to Scotland in January 2007. Central defender who joined Dunfermline from Clyde in June 2009. Made 42 appearances for Dunfermline. The Scottish international goalkeeper who won his first representative honours while at East End Park. Spent two seasons at East End Park until he was released at the end of season 2009-10. Made just 29 appearances. Dunfermline signed Michal Hrivnak in July 2012 on a one year deal. Left in August 2013. After joining Dunfermline on 27 January 2003 he went on to make 80 appearances and score eight goals before leaving for Dundee united in June 2006. The 20 year old Englishman signed as an amateur at the end of March 2011 for the remainder of the 2010-2011 season. Joined Dunfermline in March 1988 and made 106 league appearances, scoring nine times and eight League Cup appearances with two goals and a further eight Scottish Cup appearances with no goals. Dunfermline paid a bargain £15,000 transfer fee to bring Ross from Dundee on 23rd October 1987. He scored on his debut the following day in the 3-2 defeat at Motherwell. Chris Kane signed for Dunfermline Athletic the day after his nineteenth birthday on 1st June 2012. He is a central midfielder who spent seven years at Hearts having joined them from Hibs. Much sought after following impressive Scottish Cup Semi Final and Final appearances against Celtic and Dundee United, joined Dunfermline from Ross County for season 2010-11. A tough-tackling right-back, Bobby played in Dunfermline's League Cup Final defeat by East Fife in October 1949. A centre back who was one season at Newcastle United before joining Dunfermline in May 2003. Jim Leishman signed in 1968 as a schoolboy international, the year in which Dunfermline won the Scottish Cup, he joined the Pars as an 'S' signing. Rangers striker who spent five months on loan at Dunfermline in early 2009. 23 appearances 2 goals. Austin McCann joined on freedom of contract from Football League Two club, Notts County in May 2008. 23 March 1961 - 8 January 1996. Norrie was the Dunfermline Athletic Club Captain when he tragically died from carbon monoxide poisoning at his home on 8th January 1996. He was only 34. 1961 Scottish Cup Winner. Tommy joined Dunfermline on 1 July 1960 from Leicester City for £3,000. He had previously played for Hibernian before moving south to Wolves in April 1954. Famously bought his own way out of his contract at Airdrie United to join Dunfermline. The 23-year-old winger signed a two-year deal in June 2009 time for the start of pre-season training. New Zealand-born Michael McGlinchey joined Dunfermline in November, on loan from Celtic until 20th January 2008. Michael made his Pars debut at McDiarmid Park on Saturday 10th November 2007. Phil McGuire signed a two year deal with Dunfermline just prior to getting on the plane to jet off to Holland for the 2006 pre season tour. Neil McGregor was signed after impressing in the home friendly against Coventry on Wednesday 29th July 2009. Left Dunfermline when contract expired in 2011. At 34 years of age joined Dunfermline on a two year deal in July 2006. An experienced striker, Jim could also play in left midfield. Goalkeeper Roddy Mackenzie signed up on a two year contract on 13th July 2006. Left Dunfermline during season 2007-2008, and subsequently joined Livingston in Season 2008-2009. Tam McManus was signed in February 2007 for the remainder of the season. Captain in 1961 of the first Dunfermline side ever to win the Scottish Cup. Harry signed for Dunfermline on a free transfer from Rangers in May 1958. In all he spent 7 years at East End Park, making 275 appearances and scoring 106 goals. Scott was at Dunfermline over ten years but was released at the age of 19. Went on to play for East Fife. In five years at East End Park, Barrie Mitchell was never far from the headlines even though it was often for reasons other than his playing ability. Hearts striker who spent four months on loan at Dunfermline from January 2009. 16 appearances, no goals. Hailing from Northern Ireland, the 25 year old made 31 appearances for Dunfermline after joining from Bradford City for the start of the 2006-2007 season. Left sided defender / wing back who joined from Aberdeen for the start of the 2005-2006 season. Goalkeeper Sean joined Dunfermline Athletic full time in the summer of 2003. Signed for Dunfermline near the end of the transfer window in January 2006. May be used as a left sided midfielder, although he did have a successful role at full back in season 2006-07. Motherwell's Danny Murphy joined Dunfermline on a short-term loan in October 2007. At the end of his loan period Danny joined Cork City in February 2008. 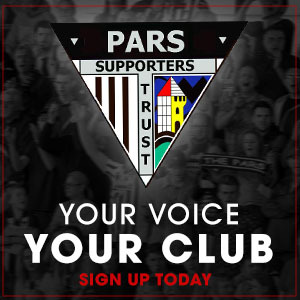 Former Paris St Germain youth and Sunderland centre back M`Voto joined the Pars summer 2017 after leaving Fife rivals Raith Rovers. Jimmy made 24 appearances for the Pars in 1989-90 before leaving to become player-manager at Raith Rovers. Barry Nicholson was a regular in the Pars midfield from 2000 - 2005. Made three international appearances while at Dunfermline. Signed on loan from Celtic on 5th January 2007. The top goalscorer for Celtic Reserves had not played for the Celtic first team but he was thrown in for the Pars Scottish Cup tie against Rangers. 1961 Scottish Cup Winner. George made a remarkable 421 appearances, putting him in fourth place in the list of all time Pars appearances. The highlight of Bert's career was the 1968 Scottish Cup triumph, a victory made all the sweeter because Bert had missed the 1965 Final through injury. Former pupli of Woodmill High School, Greg came through the youth system at Dunfermline, representing Scotland and eventually made it to the first team only to break his leg against Dundee. Although he began with Lochore Welfare, Willie Renton played for St Johnstone, and St Mirren before arriving at Eat End in 1968, supposedly as a replacement for Celtic-bound Tom Callaghan. Signed by George Miller on an `S` form in 1975, Bobby played in a then record number appearances for the club before moving onto Alloa after playing in the club`s first ever Premier League campaign in 1987/88. Craig transferred for a fee of £25,000 in 1987 from Raith Rovers, and went onto become the Scottish Premier League's top scoring midfielder in 87/88, despite the club being relegated. Signed from Queen of the South ahead of the 1987/88 Premier League campaign, Robbo made the right back slot his own after replacing outgoing namesake Bobby in the number two shirt. Between 1965 and 1971 Hugh Robertson made 239 first team appearances for Dunfermline including 17 in Europe, scoring 61 goals. Made 14 appearances and scored one goal before leaving to join York City in May 2016. Jack Ross signed for the Pars on Thursday 17th September 2010 but never played for the Club. The right back signed after being a free agent for two weeks after his contract at Hamilton Accies was terminated. Marco Ruitenbeek, a goalkeeper signed from Dutch Second Division club, Go Ahead Eagles in May 2000. Signed an 18 month contract when joining from Irish League Champions Shelbourne on 12th January 2007. Spent two seasons at East End Park while out on loan from Patrick Thistle. 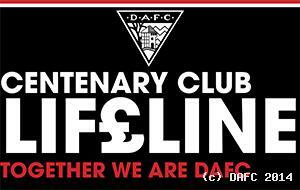 Joined Dunfermline for a second term on Friday 23rd January 2004. 237 appearances for Dunfermline, four goals. After 105 matches with Hearts scoring 9 goals Stephen joined Dunfermline on 26th January 2006. One of the finest players ever to don the Pars black and white, the surprise has to be that Smith was never capped by Scotland. Andy Smith signed for Dunfermline in July 1995 and went on to play a significant role in promotion to the Premier League. Captain of the club for their then only First Division Championship in 1988/89 season, Bobby was a veteran full back brought in by Jim Leishman from Hibs in September 1987. Chris Smith was signed by Dunfermline in July 2010. This was the third time that he had left Paisley for Dunfermline. After 52 appearances and 6 goals for Dunfermline, Mark will always be remember for THAT goal in the 2-0 cup win over Rangers in January 1988. A stalwart at the club between 1982 and 1991, Trevor won both the Second and First division titles during his time at the club. 1961 Scottish Cup Winner. Despite playing only 12 matches for Dunfermline Dave is a legend for scoring the opening goal in the final. Jason Thomson was loaned from Hearts to Dunfermline for six months from 8th July 2011. He made 14 appearances and scored one goal at Kilmarnock. Jim left the club in 1971 after 308 first team appearances, the 15th highest in the club's post-war history. Scott was brought to East End Park by Bert Paton in 1998. When he left 11 years later he had made 306 appearances for Dunfermline. Andy first joined Dunfermline when Bert Paton got him to sign from junior outfit Kelty Hearts. 383 appearances for Dunfermline, 50 goals. Goalkeeper Iain Turner joined Dunfermline on 11th January 2012 on a loan deal from Football League One club, Preston North End. Made 4 appearances with one shut out before a back spasm ruled him out for remainder of the season. Gozie arrived at East End Park in August 2024.. He was a very popular character with both players and fans. Notoriously signed by Jim Leishman in an Edinburgh pub in October 1983. Having score 85 goals John left in 1989 to try his luck with Fulham in England then returned to Airdrieonians to finish his playing career. A record 361 appearances as goalkeeper with 115 shutouts during his two spells with Dunfermline. After the 2007-08 season appearing at U17 level, Jordan won a contract to be full time at the club but after just one first team appearance off the bench was released in May 2011. Hugh made his debut in a League Cup tie against Queen of the South on 14th August 1976. Simon Wiles joined Dunfermline in August 2008 on a one year deal. Never really recovered from injury in November 2008 and left in August 2009. Paul made his first team debut when he came on as a late substitute in the Scottish First Division match against Clyde at Broadwood on 23rd February 2008. Craig Wilson went on loan to Raith Rovers on 13th October 2006 before joining them for the 2007-08 season. Pat (or Paddy) Wilson was born in High Valleyfield in 1946; son of a miner, he had six brothers and two sisters. His uncle John was manager at Blairhall, and was 16 when he was signed up there. Nicknamed "Dinger" from his days at Ibrox, he looked set for a move to England but in August 2002, Scott signed for the Pars. Jackie played in 7 of the 8 1961 cup games, missing only the replay against Celtic. Scorer of the Pars first ever Premier League goal on the opening day of the 1987-88 season. Kerr got his chance when the Club went into administration. Was ever present for the remainder of the season after making his debut at home to Falkirk on 27th March 2013.